Not only are you throwing a rehearsal dinner, wedding, and possibly an after-wedding-breakfast, but you will also be hosting your getting ready party as well. 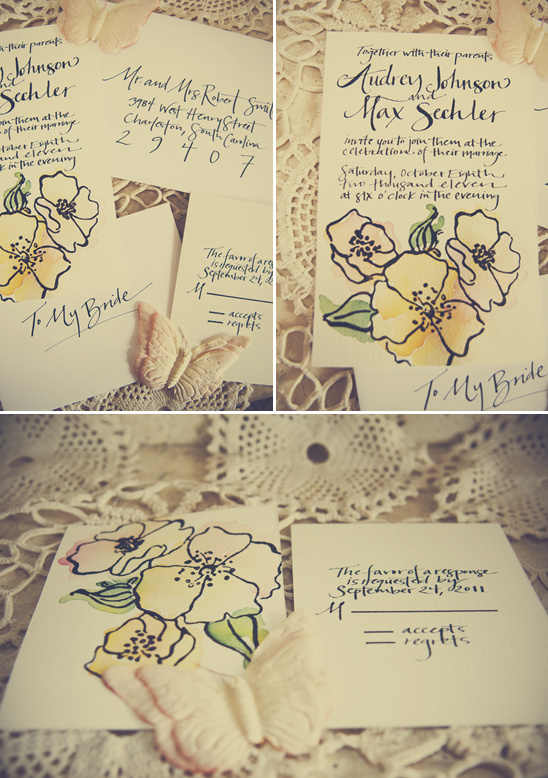 Making sure you and your bridal party have a lovely time that you all will remember forever. 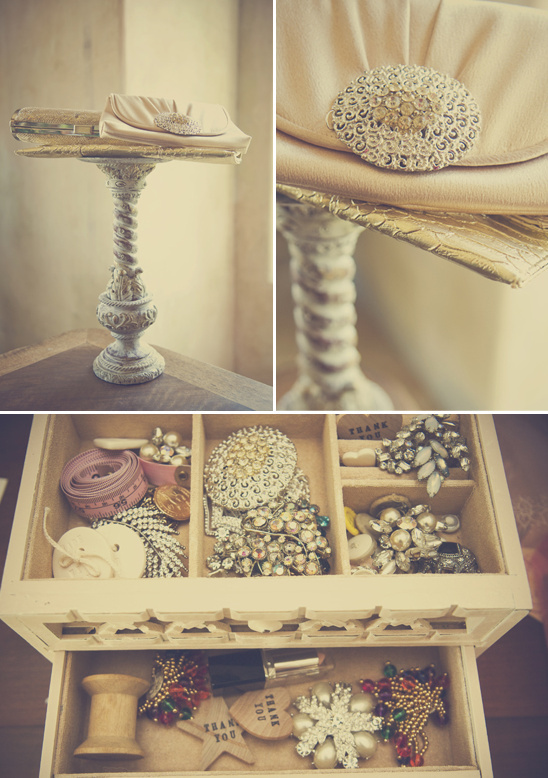 You can thank the utterly fabulous dress designer Annette from Chaviano Couture for these Get Ready Wedding Tips. Get out your pen and paper, you may to jot these tips down. 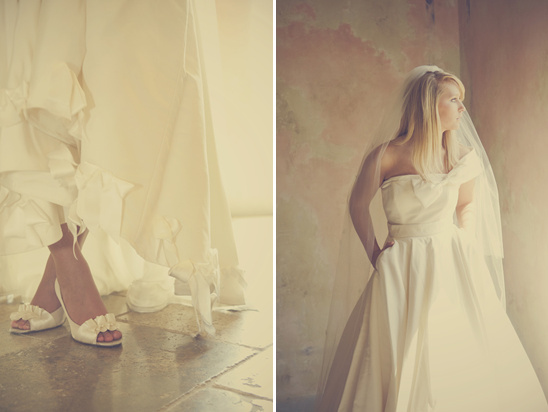 To see all the images from this lovely shoot click here. 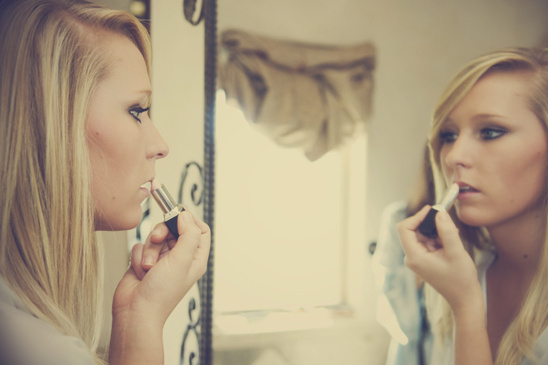 Have detials ready for your photographer before you begin to get ready. While eating breakfast and interacting with your girls. Those are memories you won't forget. For breakfast serve something a little out of the ordinary. 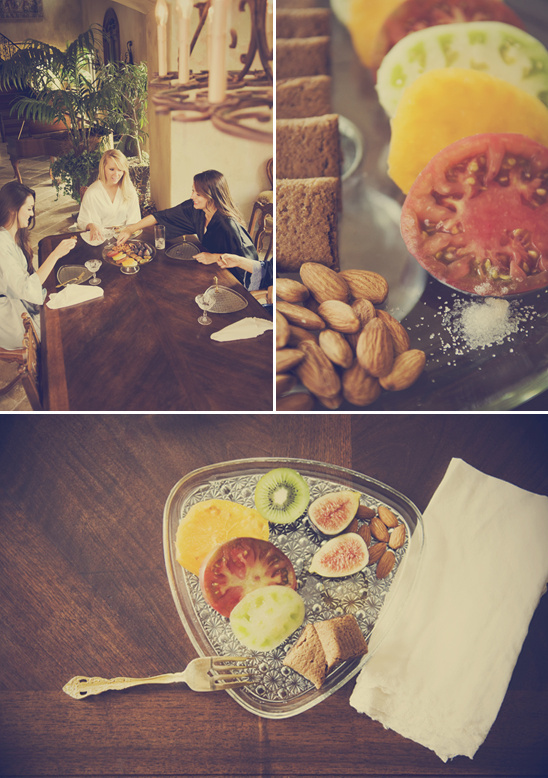 Tomatoes and figs with almonds for protein as well as honey and some fruit are the perfect tasty combination to keep you full before the wedding.Of course you should have a champagne toast while getting pretty, but remember you have a long day ahead of you. Staying hydrated is essential. Have plenty of water around and light snacks around to keep everyone happy. 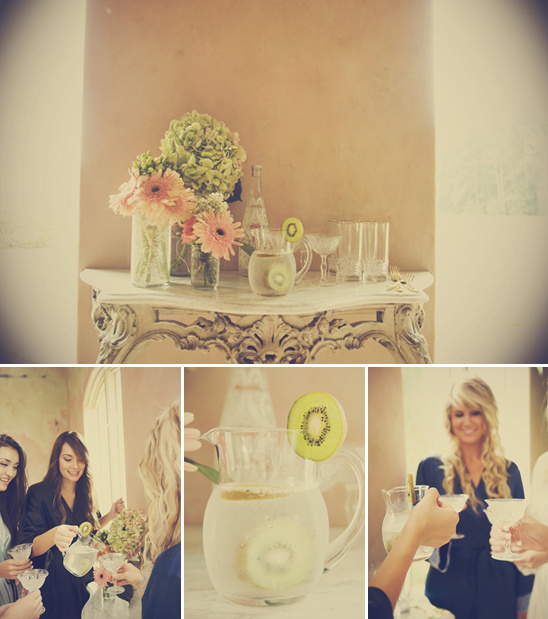 We love the idea of setting up a water station where you are getting ready. You can dress up the water with fruits and cucumbers to make everything super fancy. 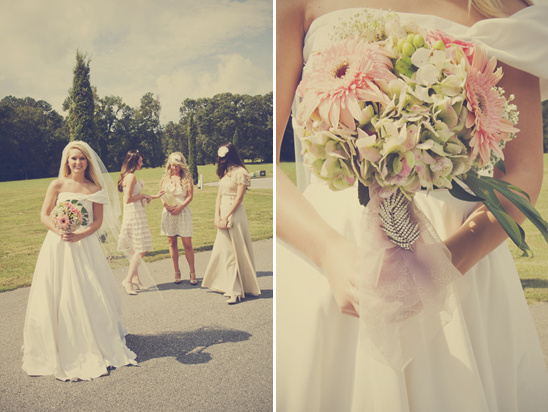 Go untraditional and instead of having your bridesmaids carry bouquets, have them carry clutches with essentials for the big day such as tissue, lipgloss, and a note from the bride. Use family heirlooms such as a broach or piece of jewelwry on your bouquet as well as your mother or grandmothers hankerchief.